hearing peers. Over two years of data collection show consistent analysis. 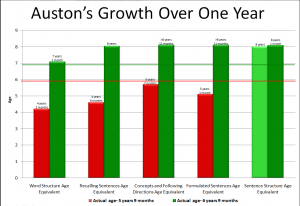 Auston entered the iHear program at the age of 3 with a total of 10 words. Auston and his 5 siblings lived on a farm in rural Kansas, 5 hours away from any support services for the hearing loss. He had been diagnosed with a unilateral hearing loss, however, refused to wear the loaner hearing aid. When the family began the iHear sessions, he was pretty frustrated by not being able to communicate and his mother felt defeated in her efforts. 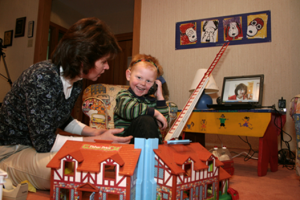 Through consistent iHear sessions, the therapists found ways to engage his mother and other family members in Auston’s play and assist them in learning strategies to promote listening and spoken language. It was a very slow process, but with a great deal of determination on his family’s part and consistent sessions …..he began to take off! Today, Auston is 8 and ½ years old and talks non-stop! He wears two hearing aids during all waking hours, loves to talk about tractors and tells knock knock jokes. 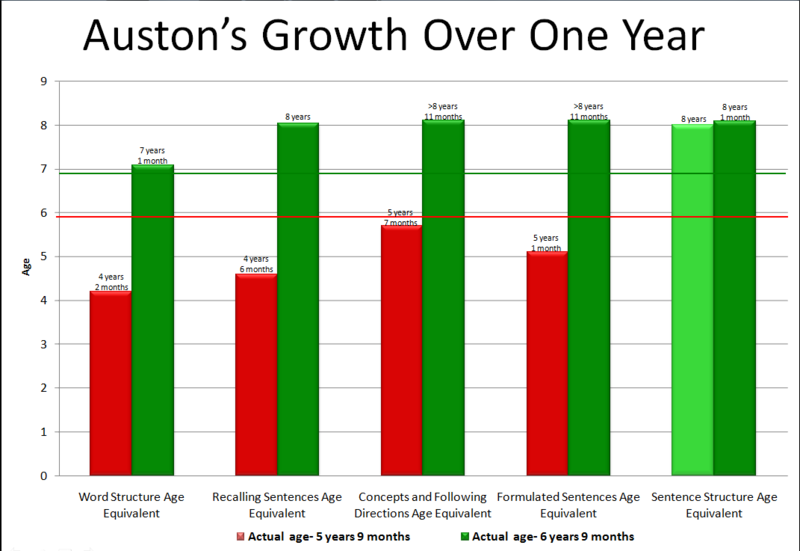 Most recently, he tested above age level on a standardized testing in the areas of receptive and expressive language. Sessions with Auston and his mother continue as well as with professionals from his school. iHear has made a difference in this child’s life, the lives of his family and the lives of the members of his community.